We are intrigued by science and technology, so today we lay some info on you around artificial intelligence (AI). 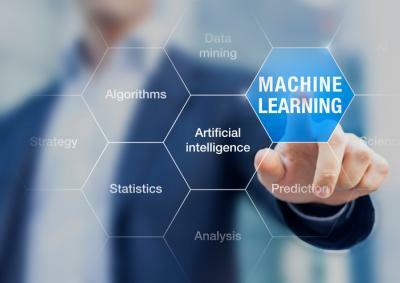 For starters, AI is growing very quickly and there are some things community bankers might want to know about it because it will definitely impact banking. For instance, a survey of corporate executives found 32% say voice recognition software is the most used type of AI in their workplace. Research by Gartner projects AI bots will power 85% of all customer service interactions by 2020 and 20% of business content will come from AI by next year. Now that we have that out of the way, we transition to the growing business of RegTech and what community bankers should know about that (AI and RegTech can be intertwined, which is why we are covering both). Given the increasing number of companies investing in this area, we wanted to bring you some additional updates. First of all, not all companies provide bankers with the same solutions. Some are identifying specific products or categories to address, while others seek specific measures that may need to be taken. It is important to understand which ones could help your bank and compliance team to best leverage your existing compliance talent. Our first note is that RegTech startups quite often are using the expertise in their partnerships to focus on specific areas of regulatory compliance. Some target rogue behaviors, some seek to streamline regulatory information, some use data patterns to allow employees to focus on mission-critical details and a host of other areas. One focal point that has recently surfaced as well is around training and recruiting compliance teams. Here, bankers can give compliance staff simulations to ensure everyone understands their role and what to look for under a variety of situations. Vendors leverage technology to analyze how well employees apply regulations. This approach is not foreign to banks, because similar ones are already used commonly elsewhere in the bank (such as stress testing, tabletop testing, business continuity testing, etc.). The key with all of this is to seek to gain some insight so you can have better discussions and understand where inconsistencies may exist. Then you can adjust your training programs to address anything that surfaces. Despite a recent flurry of activity on the RegTech front, experts remain abundantly cautious. Many say they don't imagine that technology or artificial intelligence will replace entire departments of compliance officers any time soon, as the technology just isn't there yet. At least for now, the human touch is needed to interpret gray areas. That does not mean that technology won't absorb an increasing part of the workload however. Soon it will be able to accomplish long, dull readings and liberate compliance teams to do more challenging work. The good news is that despite the thousands and thousands of pages of regulations, artificial intelligence never gets tired of reading it all. It is also becoming a very efficient detector of the opening of fake accounts and fraud, so that is good as well. There is clearly a lot to consider when looking at your own bank's compliance structure to see how and where technology may fit. Our thoughts here are to first look at what your regulatory and compliance needs are, document the process and from there, review the resources currently used for those needs. Then, if you feel your regulatory needs are being met in a reasonable way at a reasonable cost you are probably ok for now. On the other hand, if you feel that efficiencies can be made and keeping up is just too much, there are a growing number of options out there. Of course, as with all new things like RegTech, be sure to do your homework on the work-product and the vendor, before jumping in. In the meantime, we hope we have helped you a little further down the regulatory and compliance road. Yields were up 2bp as a likely rate hike continued to stay top of mind for investors. The Millennial Disruption Index finds 53% of millennials don't think their bank offers anything different than any other bank. Clearly bankers need to tell a better and ongoing story to help this customer segment better understand. Research by Wells Fargo finds by demographic breakdown, branch banking usage is as follows Baby Boomers (69%), Gen X (68%) and Millennials (63%). Bank of America reported 4,579 financial centers as of the end of 2016 vs. 5,900 as of the end of 2010. That is just over a 22% reduction over that 6Y period. RateWatch research finds 69% of small businesses do not have a positive perception of mobile banking. Raddon Financial Group research finds 52% of businesses with up to $10mm in annual revenues and 68% of those owned by millennials, say they rely on mobile banking to both access and manage their account. Pew research finds 77% of Americans now have a smartphone. By age category though things clearly skew younger, as smartphone ownership breaks down as follows: age 18 to 29Ys (92%), 30 to 49Ys (88%), 50 to 64Ys (74%) and 65Ys+ (42%). Deloitte research finds 61% of people say they learn more about a brand from social media than from the company website.